This Tearoom Lounge Chair, Kvadrat's "Savanna" 0202 (Light Grey) is no longer available. Available May 2019. The Tearoom lounge chair and Tearoom sofa join the tearoom club chair to complete the leisure experience in a multitude of settings, from exclusive hotels, clubs and lounges to private homes. Pairing the luxurious feel of full upholstery with a clean silhouette rooted in geometric forms, the Tearoom Series is as appealing to the touch as it is easy on the eyes. While creating the clean silhouette, Ross took exceptional care to imbue every inch with mood-lifting comfort. Every design element curves gently to ensure that the furniture’s contours complement our own. Beneath the upholstery, a wood and foam construction creates the ideal pairing of sturdiness and lush comfort. What is a lounge design, after all, if it doesn’t deliver on the experience you imagine when you get drawn into its sculptural form from afar? Timeless in its expression and execution, the Tearoom Series is well-suited to both period and contemporary environments. Like the Tearoom club chair, the Tearoom lounge chair and Tearoom sofa radiate elegant yet strict femininity. Their embracing form, while alluring, stops short of being overly casual. As such, the furniture maintains a clear visual connection to the sculptural 1904 Willow chair that originally sparked the designer’s imagination. Menu's philosophy is simple. We want to make the world better, less complicated, a little bit nicer to wake up to. Collaborating with super-talented designers, we make objects to be treasured now... and forever. We work with some of the most exciting and driven creative individuals from the worlds of architecture and design to produce high quality design with a crisp Scandinavian look. 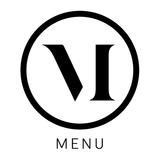 At Menu we are obsessed with clever solutions for modern living. We want to make beautiful objects for everyday use, whether that's an indispensable item of kitchen equipment, a clever floating shelf or a beautiful vase that adds the finishing touch to your living space. Wherever we can, we work locally with craftspeople around the world, preserving skills while creating the best modern design. 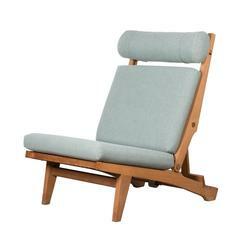 Authentic Finn Juhl FD137 Japan chair in teak for France & Son, circa 1960s. This particular example is finely restored with new foam and "Hallingdal" fabric by Kvadrat.